If you’ve been experiencing difficulty swallowing or chewing, a dryness or stickiness in your mouth, or saliva that seems thick or stringy you may be experiencing dry mouth. It can be a very uncomfortable issue, and if not dealt with properly can lead to other oral health problems. Salivary production is an integral part of keeping a healthy mouth. A mouth that consistently does not create enough saliva may result in tooth decay, bad breath or halitosis, and gum disease. In addition, the lack of saliva will make simple daily aspects like chewing, swallowing, or talking more difficult than normal. Proper saliva production plays such an important role in quality oral health, and for millions of people all over the world, they struggle with the issue of dry mouth, also known as xerostomia or cottonmouth. Dry mouth or xerostomia is defined as when our salivary glands don’t produce enough saliva to keep our mouth optimally hydrated and wet. This can be a result of many different aspects of daily life, from stress to aging to over-the-counter medications to other diseases. 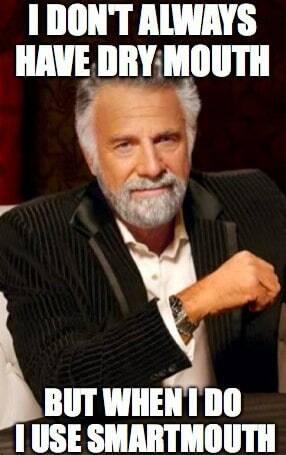 Now, dry mouth can impact everyone differently. For instance, nerves or stress can influence dry mouth. Many people begin to notice their drying mouth before having to give a big speech or a presentation or before a first date. However, if you’re experiencing dry mouth, it can be a very uncomfortable issue and could be a sign that there’s an underlying medical issue taking place that’s causing your lack of saliva flow. It can also lead to additional oral health issues. There are a multitude of causes for constant dry mouth and many reasons as to why your salivary glands aren’t producing enough saliva to keep your mouth properly hydrated. 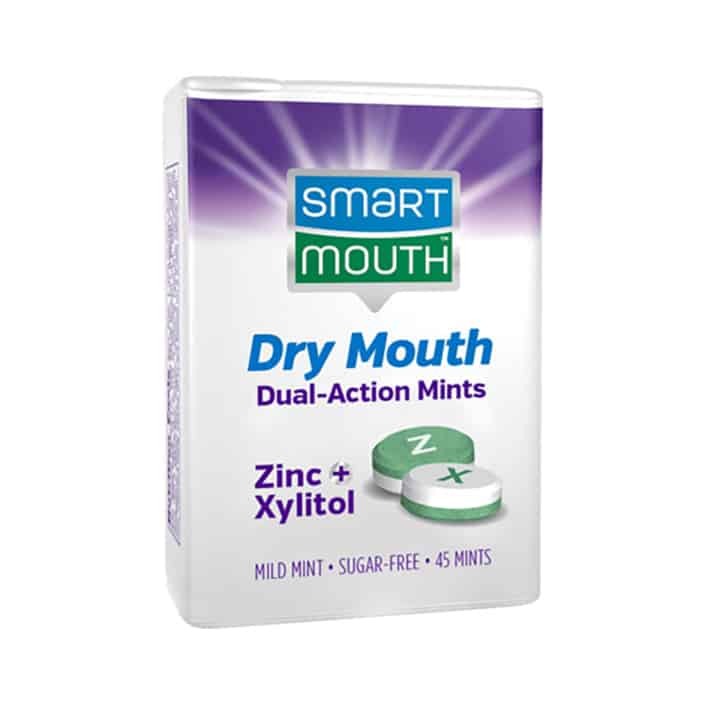 Medications– Over 400 over-the-counter and prescription medications are known to cause dry mouth as a side effect. Smoking or chewing tobacco – Smoking cigarettes, cigars, and chewing tobacco are known to enhance dry mouth. Diseases– Many diseases are known to cause dry mouth symptoms. Medical conditions like Parkinson’s, HIV/Aids, Alzheimer’s, diabetes, depression, and Sjögren’s syndrome attack the salivary glands and decrease saliva production. Radiation– After undergoing radiation treatment, many people experience dry mouth because the salivary glands can be damaged. Some may experience total saliva loss and some may experience temporary saliva loss. Dehydration – Too much physical exertion, exercising during a hot day, or a lack of overall fluid intake can lead to symptoms of dry mouth. Chemotherapy– Many of the drugs used to treat cancer are known to make your saliva stringy or thick and exacerbate dry mouth issues. Menopause– As women age, hormone levels change. This process also affects the salivary glands and causes many women to have a constant feeling of dry mouth. Stress – As we get nervous, our salivary glands tend to produce less saliva and may lead to dry mouth. Daily aspects of life – Certain foods and drinks can cause the feeling of dry mouth. Things high in acidity, caffeine, and sugar are all known to increase the risk of dry mouth symptoms. The Flu – When you’re sick with the flu your body tends to lose the majority of its fluids. Side effects of the flu such as a high fever and vomiting often cause symptoms of dry mouth. Drinking alcohol – Consuming too much alcohol on a consistent basis is known to reduce saliva flow and cause symptoms of dry mouth. Nerve damage – Certain injuries to the head or neck are known to damage the salivary glands and cause symptoms of dry mouth. Recreational drug use – Drugs like Methamphetamine and cannabis commonly dry out the mouth and cause tooth decay and gum disease. Aging – Many of the aspects of aging can lead to symptoms of dry mouth. Whether it’s due to medications, improper nutrition, or the body’s ability to increase saliva flow. 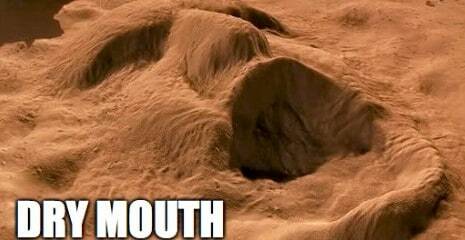 What Are The Signs Of Dry Mouth? If you’re experiencing feelings of dry mouth, it’s best to consult your dentist or dental hygienist before attempting to combat the issue. What Are Some Complications From Dry Mouth? Proper saliva production is incredibly important for good oral health. Why, you ask? If your salivary glands aren’t producing enough saliva to keep your mouth properly hydrated you may see many complications with simple daily tasks. 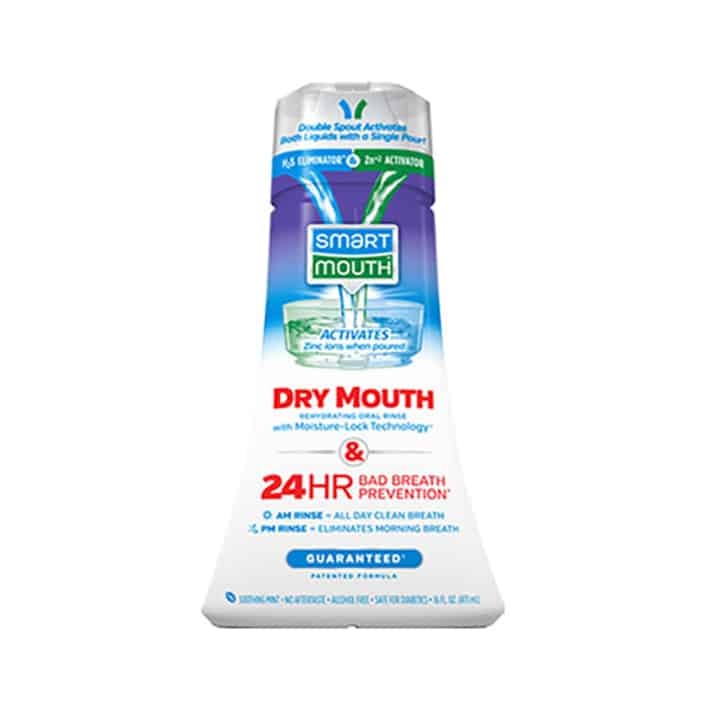 If you’ve tried all of these solutions to combat dry mouth or xerostomia and you’re still feeling the dry, uncomfortable sensation, we’d suggest you try some proven solutions to help temporarily relieve the feeling of dry mouth. 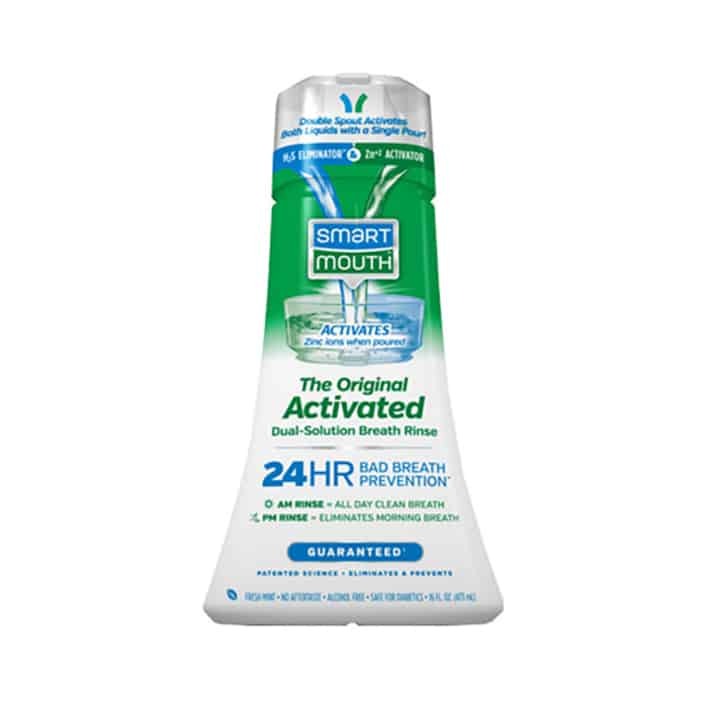 SmartMouth is the only dry mouth mouthwash proven to temporarily relieve dry mouth symptoms and eliminate and prevent bad breath for 12 hours with every rinse. What Is Halitosis? What Are The Causes? Chronic Bad Breath vs. Normal Bad Breath – What’s The Difference?